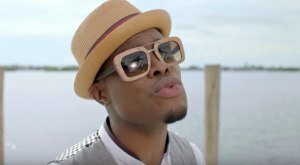 Jamaican singer Omi premiered the official music video for his new single “Hula Hoop”, which is lifted from his forthcoming debut album “Me 4 U”, on Wednesday, September 16th. “Hula Hoop” is the official follow-up single to Omi’s US #1 hit, “Cheerleader”. “Hula Hoop” is another reggae-dance upbeat record from Omi that will certainly make listeners feel like it’s still summer. The official “Hula Hoop” music video sees Omi hosting auditions to choose the group of talented and beautiful ladies that will star in his “much-talked-about” “Hula Hoop” clip. Eventually, the selected few will put on some Rio de Janeiro festival-like costumes for the video shoot, and Omi will throw a house party nobody will be able to forget.